Torque Solution includes 2 urethane bushings and a sleeve for the passenger side and 2 urethane bushings and a sleeve for the driver side. 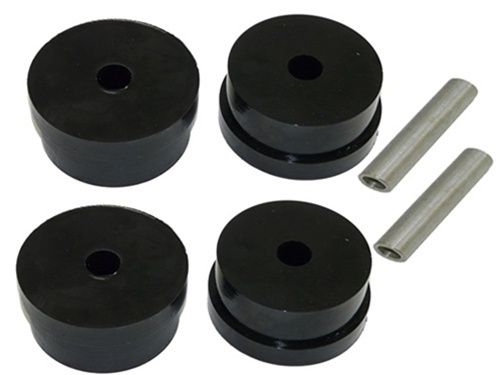 Upgrading your stock rubber bushings to urethane bushings will help reduce engine movement and wheel hop. This means you receive better traction, which will improve your 60ft and 1/4 mile time. Affordable price, easy install, and most important you'll see and feel the advantages.